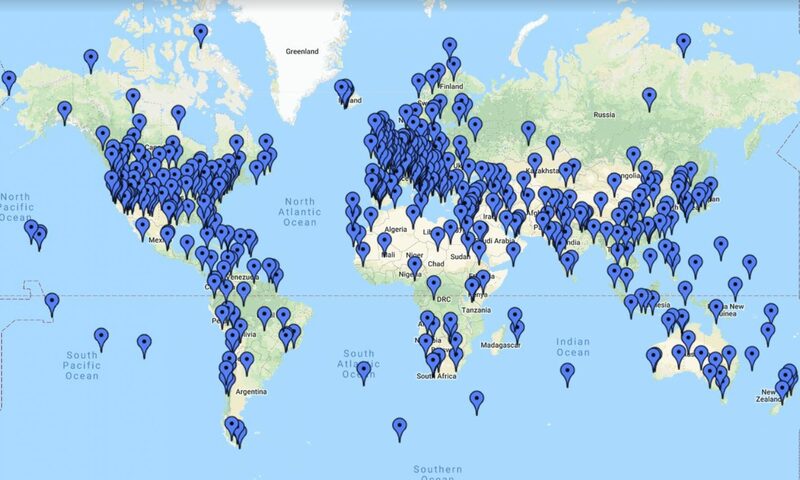 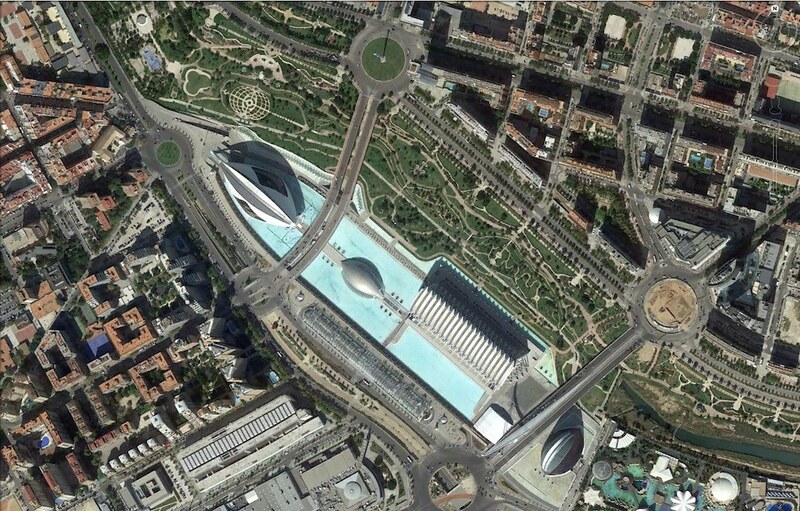 May 2014 – Where On Google Earth? 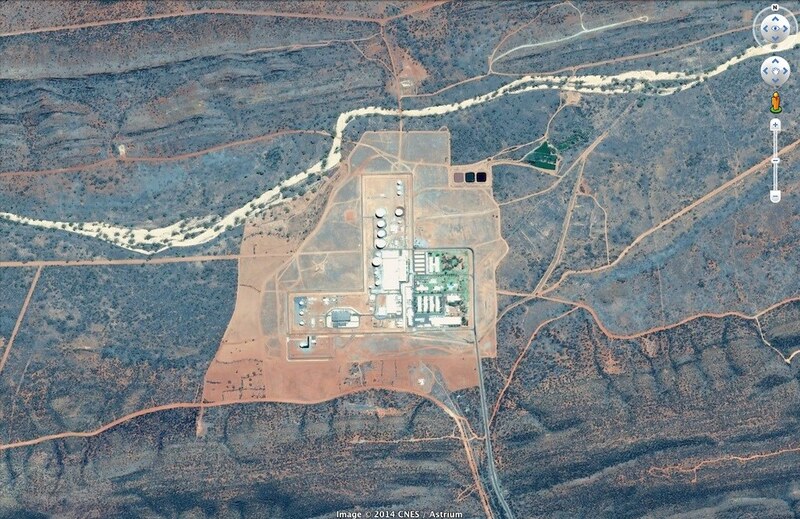 Contest #347 answer: Joint Defence Facility Pine Gap, Australia. 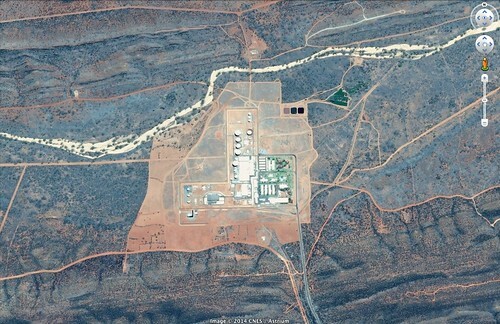 Although Pine Gap is in Australia (a few miles SW of Alice Springs) , it is effectively an USA controlled base, run by the CIA, NSA and NRO and it is part of the Echelon network. 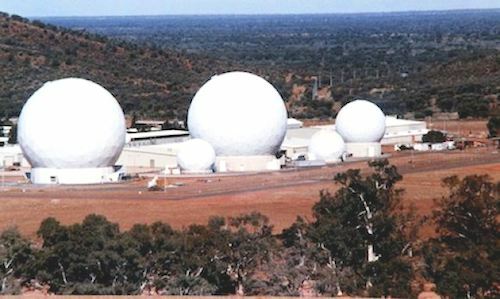 Last year it was revealed by Edward Snowden that Pine Gap is part of the PRISM surveillance program. 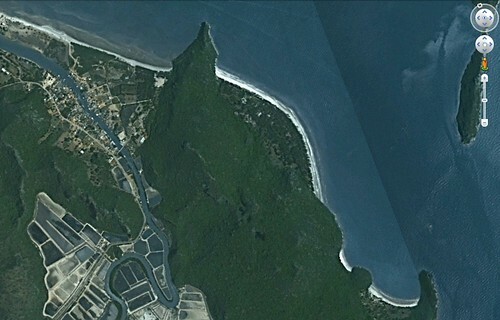 Word has it that this ‘Supermax’ facility is the The World’s Most Secure Prison. 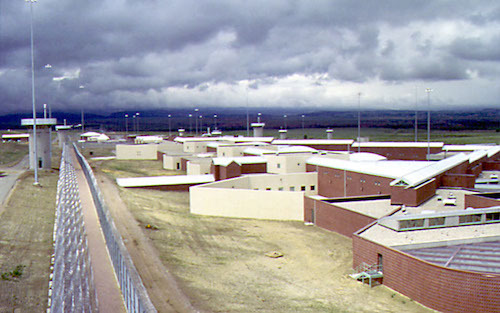 The official name is The United States Penitentiary, Administrative Maximum Facility and it is located in Fremont County, Colorado. 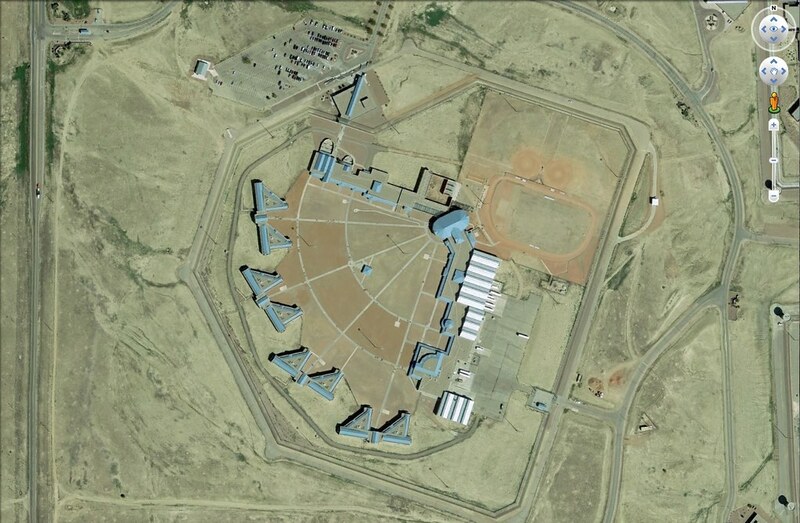 But it is better known as ‘ADX Florence’, ‘Florence ADMAX’, ‘Supermax’, or ‘the Alcatraz of the Rockies’. 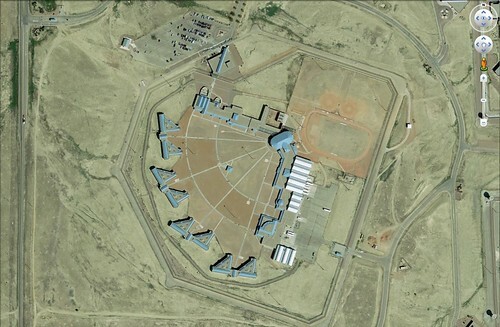 It is the most secure part of the Florence Federal Correctional Complex. The Ciudad de las Artes y las Ciencias (City of Arts and Sciences) was built in various stages beween 1996 and 2009. 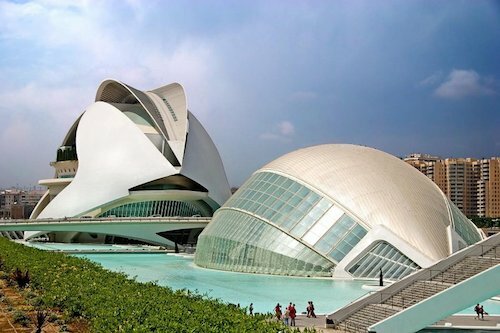 It is designed by architects Santiago Calatrava and Felix Candela and consist of several attractions: an IMAX theatre, opera house, oceanographic parc and science museum and is a popular tourist attraction in the region.